You are here: Home / Gardening / 5 Pro Tips To Use Coffee Grounds In Your Garden! Coffee grounds are one of those hidden treasures that can transform your garden. Pour spent coffee grounds into your compost bin. They can be used to create a barrier for slugs and snails. If you make a cup of coffee every day, then you have an amazing source of organic matter at your fingertips that can help you grow a healthy harvest of fresh vegetables. Coffee grounds are full of nitrogen, which as you know, is the difference between a garden that’s lackluster and a harvest that can support your family through the winter. So how much nitrogen is actually in coffee? Well, according to science, coffee grounds are approximately 1.45% pure nitrogen – ideal for your backyard garden. But nitrogen aside, coffee grounds are also awesome sources of magnesium, potassium, calcium and other types of trace minerals which help your organic garden grow healthy. Not sure how to use coffee grounds in your garden? Here’s 5 pro tips to get you started! As you probably know, when it comes to compost, there’s “green” matter and “brown matter.” Green matter is full of nitrogen, while brown matter has carbon, and is a natural accompaniment to the nitrogen. Especially if you hot compost, you will want your ratio of carbon to nitrogen to be correct. Although this seems unbelievable, especially due to the fact that coffee grounds are brown, they’re a “green” in compost rubbish, meaning that they’re highly rich in nitrogen. Simply toss your coffee grounds on your compost pile, making sure the ratio of carbon to nitrogen is correct. This can be done in a wide variety of ways; you can choose to scratch it into a couple of inches of soil at the topmost layer, or just sprinkle the spent coffee grounds into the top layer of the soil and leave it alone. Coffee grounds are comprised of some useful mineral materials, and these can help in adding to the fertility of the soil, especially if your plants are lacking nutrients or if you just want to be proactive. Coffee grounds are abrasive and acidic, and a barrier made of them will fend off slugs and snails that otherwise might snack on your harvest. To create these barriers, lace grounds around plants that are highly susceptible to slug infestations. To preserve their soft bodies, slugs will find another plant to eat. To make this, all you have to do is add 2 cups filled with used coffee grounds to a 5-gallon bucket of water. Leave the “tea” to mix and steep for a few hours. The concoction you’ll wake up to in the morning can be used as a liquid fertilizer for both garden and container plants. It is also an awesome source of foliar feed, especially for plants like peppers, which need SOME nitrogen, but are liable to grow only leafy green leaves instead of fruit if they get too much. 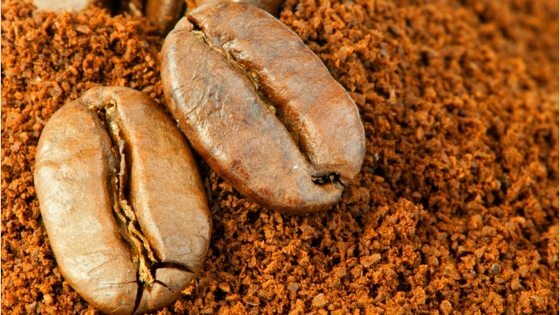 Although you might not be aware of this, worms are actually suckers for some good coffee grounds. The worms will consume them, leaving healthy castings you can use as plant food. However, you should be very careful to add too much; you don’t want the acidity to harm or repel your red worms. Just add one cup every week to your worm bin, and that should be enough to do the trick perfectly. Will you try adding coffee grounds to your garden? Leave a comment below! You bet. I’ve been collecting coffee grounds for months in my coffee pods from my morning coffee. I’ve been using coffee grounds mixed with corn screenings (coarse corn meal) to keep the night crawlers happy. I don’t use mechanical rotary tillers, but night crawlers can tunnel down 10 or more feet into garden soil, some thing no tiller could do. I pour left over coffee onto my blueberry bushes .